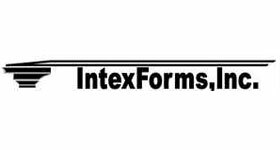 IntexForms provides high quality glass fiber reinforced cement (GFRG) and glass fiber reinforced gypsum (GFRG) products. GFRC is used for exterior projects as it is similar to concrete in strength and durability with only a fraction of the weight. GFRG is a reinforced gypsum product having high strength with lighter weight for interior projects. There are hundreds of in stock molds available for column covers (straight/tapered/fluted), capitals, bases, moldings, baseboards, coves and sconces, ceiling vaults, and cornices. Our products serve both “functionality” along with aesthetically pleasing and innovative design. Custom fabrication is available. 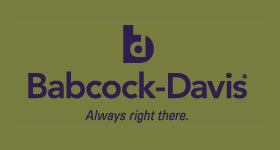 Contact our sales department for specific information for your particular requirements. 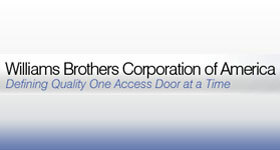 In 1991 George and Angie moved from Canada to Virginia to found The Williams Brothers Corporation of America. The American company’s success in metal access doors is a result of its flexibility and adaptability to the changing demands of the marketplace, its commitment to total customer satisfaction and uncompromising quality. 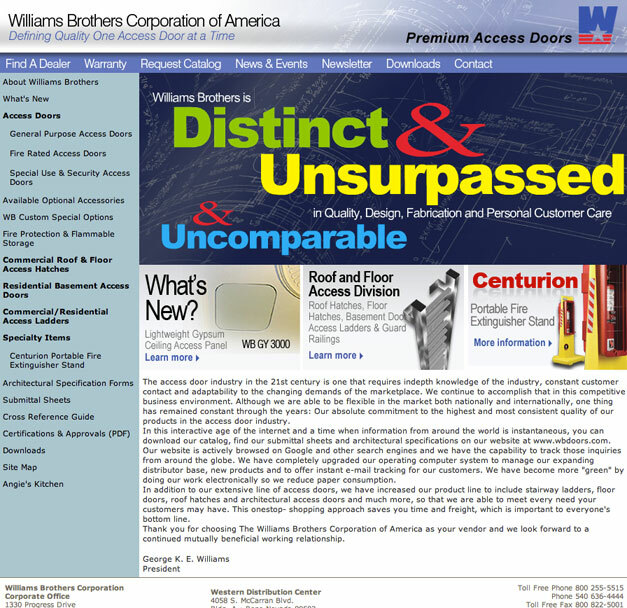 The Williams Brothers Corporation of America continues to expand its extensive national network of distributors in North America and its territories. 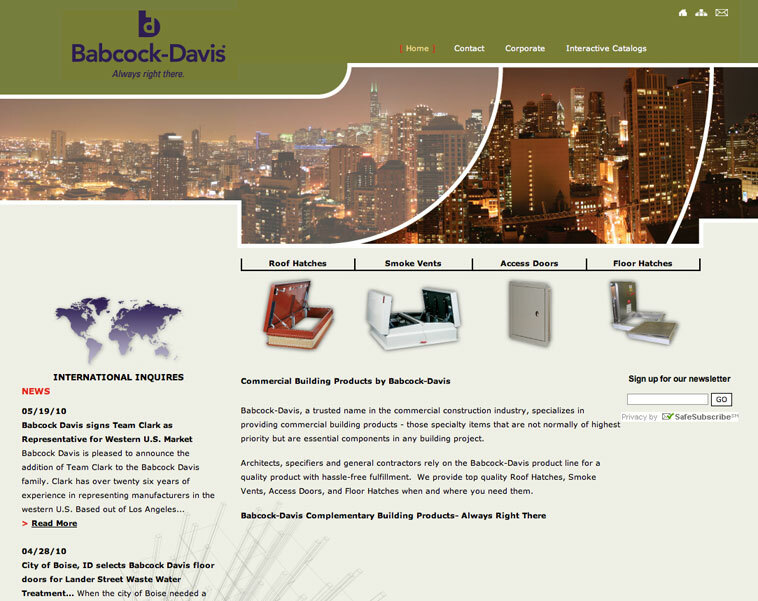 Babcock-Davis, a trusted name in the commercial construction industry, specializes in providing commercial building products - those specialty items that are not normally of highest priority but are essential components in any building project. 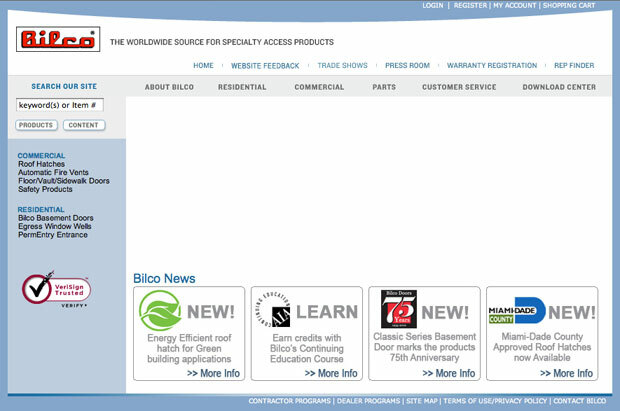 All Bilco products are designed to provide many years of trouble-free service. 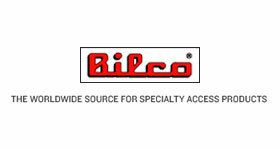 In addition, The Bilco Company has a highly skilled customer service department and an international network of factory trained representatives ready to provide whatever service or assistance you may require. Should a part fail to function in normal use within a period of five years - or longer, as indicated - from the date of purchase, a new part will be furnished at no charge. Electrical motors, smoke detectors and other special equipment carry warranties of the manufacturers of those products.